AH Parts is your online auto parts shop for thousands of OEM used car parts. Models include Honda, Acura, Lexus, Toyota, Nissan, Infiniti and more. 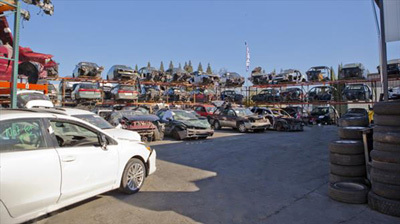 Our car parts wholesale store and warehouse is run by our auto wreckers, recyclers and dismantlers. From body parts to mechanical parts, we salvage almost anything. Buy discounted and cheap car parts from our online store, and save big by avoiding dealer store pricing. Our parts ship from rust-free Sacramento / Rancho Cordova, California. Visit our recyclers locations today, if you're in the area! Not local to us? We're locally based in Sacramento & Rancho Cordova and ship worldwide using FedEx and USPS. Your items will usually be shipped the same or next business day. For heavier or larger items, we use commercial ltl shipping. If you need to buy auto parts faster, let us know and we'll get a quote for expedited shipping. Get your salvage Honda, Acura, or other car parts no matter where you are. Sell us your wrecked car or vehicle. We buy damaged and non running cars, such as Honda, Acura, Lexus, Toyota, Nissan & Infiniti and more! Call or email today for a free quote. We can arrange for vehicle pickup at a time that works best for you.